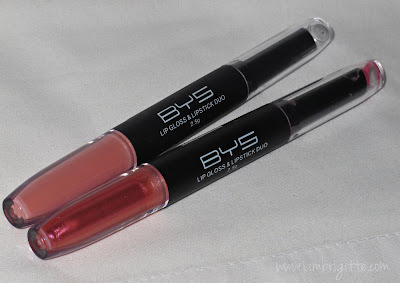 Have you heard of BYS Cosmetics? I first saw this brand at the SM Department Store's Beauty section. 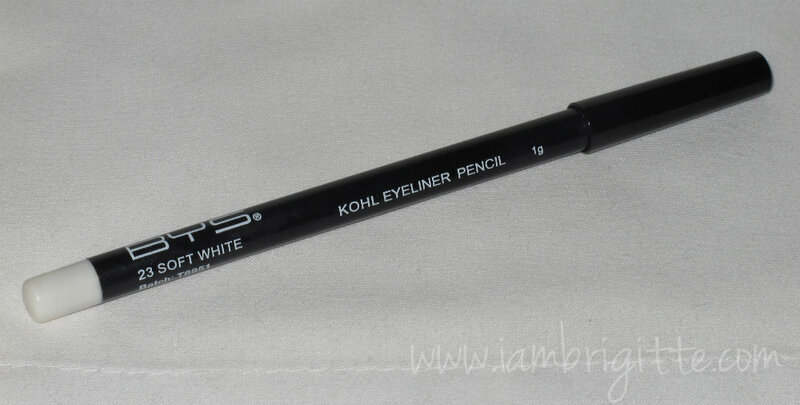 It's made in Australia and the first time I saw the products, it reminded me of NYX. 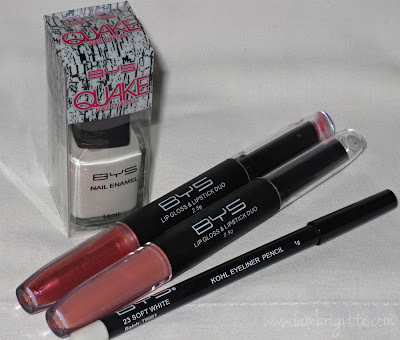 The packaging are simple and yet, I am so amazed with the wide range of products they offer. I was able to swatch some of the products at the counter, some are good, some are well...not so good. But hey, the same thing is true with some high-end brands. There can be a couple of hits, and a number of misses. I love this polish. 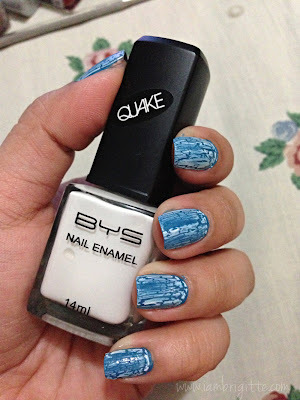 Among all the "Crack" polishes that I've tried, this is the easiest to use. It doesn't clump and it "cracks" easily. 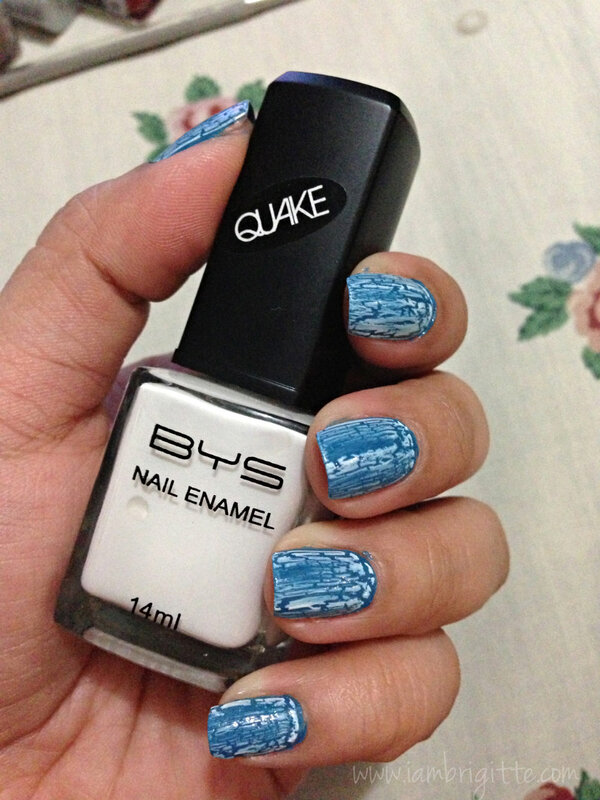 It applies thinly and yet it "cracks" to a nice finish giving your polish an artsy look. Great for days when you're feeling a bit lazy to do nail art. Honestly, I wasn't expecting anything amazing from these duos. I didn't particularly like the packaging, as I find it too bulky...or too long? And the first time I've swatched them, I just thought of it as so-so, but nahh..not after I've applied them on my lips. Weee, another lipcolor I could alternate with my MAC Peachstock! I'm not really into reddish pinks but I just love how this lipcolor instantly brightens my face. These duos apply easily, and doesn't make my lips dry. I'm not really a fan of the scent, and I find the gloss a bit sticky. But well, I like how it looks on me. So, tiis-ganda na lang! This reminds me of my MAC Fascinating. Applies easily and no tugging. It doesn't guarantee that it'll stay put all day, but you can check out my tips on how to make eyeliner last longer and I'm pretty sure it would help a bit. Try checking out this brand when you visit SM Department Store and some Watsons outlets. They have a number of great products that you can choose from and what's even greater is that they are affordable. They are coming up with their Spring and Summer collection soon and don't worry, I'll give you first dibs on that.